From time to time writers ask for hints about how to get started with their writing or storytelling. I tell them to consider finding a local Toastmasters chapter or see if there is a TEDx program in a nearby metro. 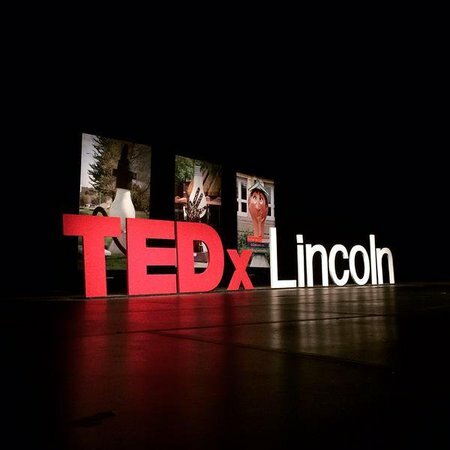 Recently here in Lincoln, NE, fifteen individuals took to the stage at the University Kimball Recital Hall for the city’s annual TEDx event focused on the theme: Re-Think. One of those individuals was Kelly Medwick, Chief of Staff for Nebraska Children and Families Foundation, spoke on the importance of developing illness intelligence. Kelly’s experience with TEDx is typical. Being part of a community program to share information and stories created the necessity for Kelly and her fellow speaker to learn accountability and how to stick to a schedule--great tools when working on your book. If jumping into a TEDx arena strikes you as a bit daunting consider Toastmasters, an international organization that helps people learn and practice the art of public speaking, is a great first step for authors who are anxious to get a foot on the stage but unsure of their confidence or ability. Whether you start with a Toastmasters group and/or move on to TEDx opportunities, getting comfortable speaking to groups about your platform and your book is a great way to become accustomed to being in front of audiences. The more your practice, the more confident you’ll be. The more confident you come off, the greater admiration the audience will have for you. The more admiration they feel, the more positive word of mouth you’ll win, the more books you’ll sell, the more consulting you’ll do, and the more success you’ll earn. … or at least before year’s end. Let the podium help you release your passion. What do you have to say? What do you have to share with others? If you possess the drive to get up in front of a crowd and share your message or information, you’ve got the pieces of a book simmering inside of you. Get in touch with Redbrush for a free consultation to see how easily is it to share your unique message with others in the form of an indie-published book. Redbrush helps business people, thought leaders, entrepreneurs, and creative dynamos elevate their information and leverage their expertise into professionally indie-published books.